The Maine Department of Corrections wants to turn empty parts of its embattled youth prison into a women-only detention center. Three senior corrections officials said the move could be the first step of many on a path to scaling down and possibly ending youth incarceration in Maine. The proposal to relocate imprisoned women, which is not yet final and will require approval from the Legislature, comes amid calls to close the Long Creek Youth Development Center following a reported pattern of self-harm among young people within its walls. Moving women into unoccupied parts of the South Portland facility is not part of that discussion. It’s an unrelated, long-considered idea to fill empty space and better serve the specific needs of female prisoners, according to Corrections Commissioner Randy Liberty and Deputy Commissioner Ryan Thornell. Maine’s adult female prison population has skyrocketed during the past two decades, at times causing overcrowding at the facilities they share with adult men, officials said. The plan to move women is part of a broader policy shift to be more “gender responsive,” which begins by permanently physically separating both populations, Thornell said. Women are often incarcerated under different circumstances than men, and often arrive as victims of domestic violence and sexual assault, Liberty said. Therefore rehabilitation often involves a “trauma-informed approach,” he said. The separation of men and women will better allow staff to “address those needs” through tailored programming, Liberty said. If it happens, the move would also likely coincide with a push to “deinstitutionalize” youth offenders, in part by continuing to “reduce the number of youth in secure confinement,” Associate Commissioner of Juvenile Services Colin O’Neill said. During the next few months, the department plans to move a handful of currently incarcerated teens into a secure, stepdown residential facility on the Long Creek property, O’Neil said. The plan to relocate the state’s roughly 225 female prisoners to Long Creek is not final, but the department has already begun discussing the likelihood with facility employees, Liberty said Tuesday. The relocation would require a statute change, and Gov. Janet Mills’ office has proposed a bill to that end, the language of which is still being crafted. The Legislature must approve the change. The department did something similar with another youth facility, Mountain View, in 2015 before its population was consolidated with Long Creek’s. Using a cohabitation plan similar to the current proposal, but with young adult male offenders instead of women, the building went from serving youth only to now only housing adult men. The South Portland youth prison was chosen for this purpose, in part, because it’s been chronically under capacity for at least the last decade. At present, Long Creek houses roughly 45 teens, but there’s capacity for 163. Meanwhile, the state’s population of female prisoners has sharply risen in the last 15 years, surging above 200 people from only 25 in 2002. The fate of Long Creek as a youth prison is the subject of serious debate and still unclear. 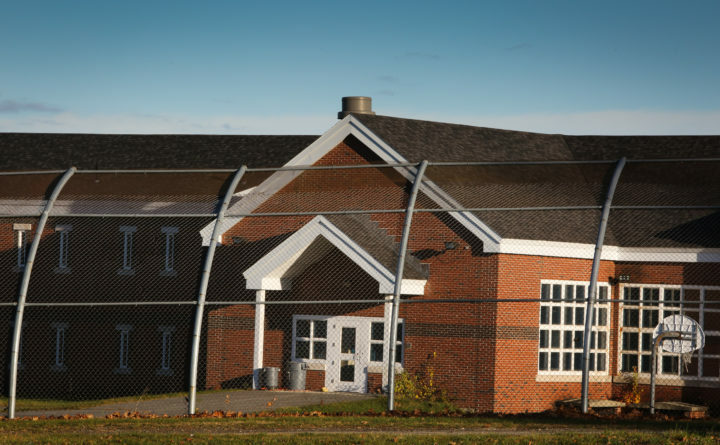 Those calling for dismantling Maine’s youth incarceration model argue that confining young people in a prison traumatizes them further and is not an evidence-based way toward rehabilitation or improving public safety. Calls to close the prison swelled after an imprisoned 16-year-old transgender inmate died by suicide in 2016, and a series of reports revealed a crisis of unmet needs, staffing shortages and harm. Advocates have instead called to replace of the prison with less harmful community-based alternatives — from mentoring to residential programs — that better address the reportedly high rates of mental illness among Long Creek’s population. The Department of Corrections and senior government officials agree on the need for those alternatives — what they will look like is still up for debate — but have not said whether they endorse the total elimination of a prison setting for a small segment of the Long Creek population. During the coming months, a committee composed of legislators and other relevant stakeholders will re-examine the system and make recommendations to the Mills administration. The decision on whether to heed those findings will likely dictate the future of the youth criminal justice system. “If that [means] stepping away from Long Creek on the juvenile side, then the [department and Mills’ administration] will consider that recommendation,” Thornell said Tuesday. Without a more detailed plan, it’s difficult to say whether the proposal to move women into Long Creek — theortically keeping its budget in place, even if youth are eventually removed — will affect the funding of those alternatives. “It’s hard to know what to make of it. I think more information needs to be put out there about what the plan is for the youth currently in Long Creek and how much needed community-based alternatives will be funded,” said Jill Ward of the Center for Juvenile Policy and Law at the University of Maine School of Law, who has called to close the youth prison. While Thornell said Tuesday that the department is “committed” to ensuring that relocation of female inmates “doesn’t negatively impact” teens in Long Creek, it’s been the case in other states “that when facilities are repurposed or closed, the money doesn’t always follow the kids, so that is a concern,” Ward said. If the Department of Corrections gains approval to house both teens and female inmates at Long Creek, corrections officers would be required to ensure they do not interact, separating them by both “ sight and sound” in accordance with federal law. The two populations would share community spaces, such as the cafeteria, but at different times. Day-to-day logistics, including whether Long Creek’s roughly 170 staff will be assigned to work with both populations, are still being worked out, Liberty said, because the plan is not yet final. “We want to go beyond recidivism in measuring success and create healthy young adults that are successful well into adulthood,” he said.